Educational technology, or EdTech, is a booming industry. 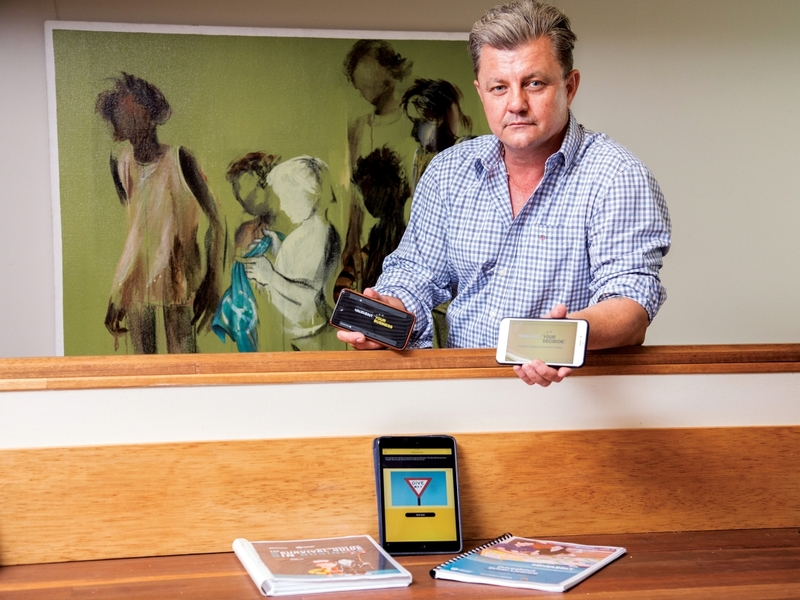 Territory-based company Ambrose Solutions, headed by innovative entrepreneur Clinton Hoffmann, has achieved success in the EdTech space with DriveAbout ™, a learning licence app. The prototype, initially financed and developed by Hoffmann, will be fully developed and available in up to twenty Aboriginal languages. It removes a massive barrier, as it enables indigenous people with poor literacy and numeracy skills to get their learners licence. Clinton is confident that the app will provide not only economic outcomes, as a licence is fundamental for employment, but also social outcomes in remote communities by reducing incarceration rates due to offences such as driving unlicenced and under the influence without a licence. With the project standing ready to receive backing from the federal government and support from corporate Australia, it will enable Clinton to leverage further innovations under the Ambrose umbrella. “I had all of these products at development stage and I realized that I needed to concentrate on one to really prove that it works, and that was DriveAbout ™. Now that it’s been backed after three years of hard work and development it has lead us into our next two,” he says. Walkabout Your Business ™ is a business literacy program that was developed by Ambrose and was sponsored by Commbank, and uses story-telling and imagery to explain business concepts, while Think About Your Decision ™ is a governance based training program that highlights the ten most common reasons boards fail, and how to avoid them. “The space we’re in, we’re creating highly engaging educational digital content with an assessment back end on a mobile platform,” says Clinton. According to Clinton, while the products have been developed by a local business for Aboriginal people living in the bush, they have a worldwide application, enabling all people to understand the fundamentals put to them simply and in easily digestible forms. “I’ve got a real interest now to focus on broader markets such as South East Asia and the United States with these products,” he says.